Registermefirst.com provides an opportunity for anyone who wants to oppose the Muslim Ban, any future Muslim registry or other unconstitutional actions by the Trump administration to join the broader movement challenging those unjust policies. After signing up on the “Register Me First” website, supporters will continue to be updated on how they can express their solidarity with American Muslims and how they can oppose the Trump administration’s Islamophobic policies and proposals. Those who register at the site will receive CAIR’s email updates about a potential Muslim registry, about the updated Muslim ban and about other Trump administration efforts to restrict civil liberties. 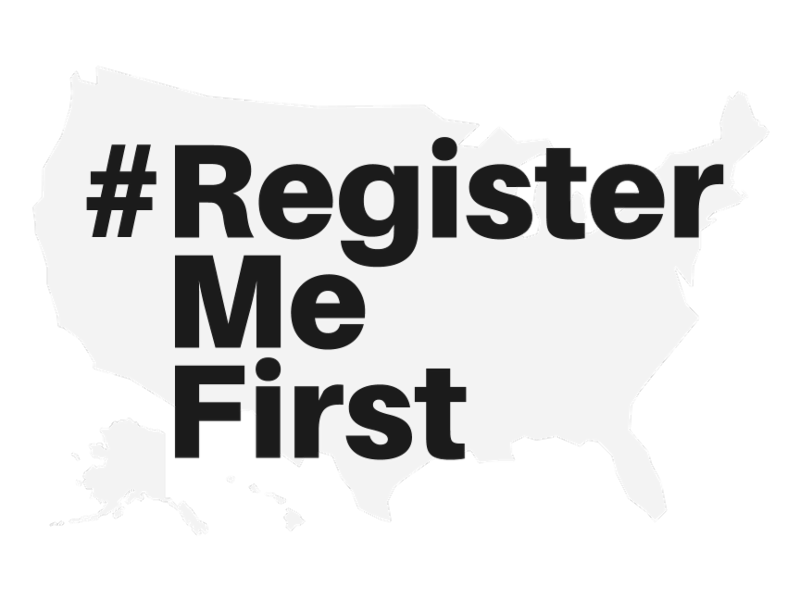 The site also provides visitors with the opportunity to obtain #RegisterMeFirst stickers, lawn signs and posters they can use to show their support for minorities targeted by the Trump administration. CAIR has also created a video to introduce the website. Please visit the site, add your name and city, and join the thousands of people who have already sent the message a Muslim registry is unconstitutional, ineffective and un-American. CAIR-Houston’s staff attorney, Arsalan Safiullah, literally lost sleep over the Muslim travel ban enacted by President Trump in February. He was one of many attorneys who worked late into the night assisting travelers arriving at George Bush International airport who were being held under the new executive order. 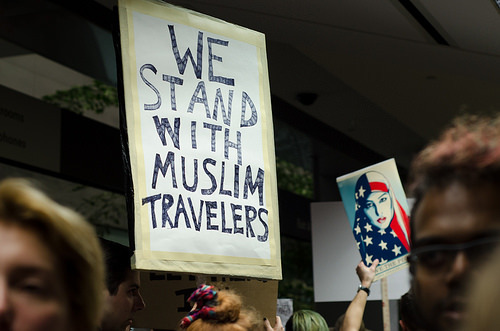 When he got to the airport, he encountered, in his words, “pandemonium.” He huddled with ACLU attorneys as they tried to determine exactly how the ban would impact travelers, whom it was intended to affect, and how to release Muslim travelers who had been detained. Many travelers, especially Syrians, he said, were afraid to speak with attorneys. If you need assistance or have any questions about travel-related issues, please contact us at 713-838-2247 or complete our report form. 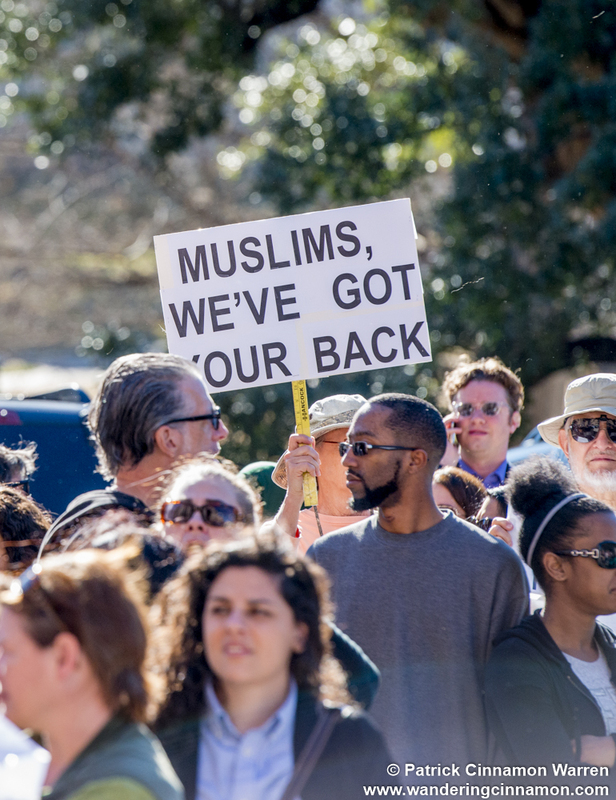 A sea of people – thousands of them – filled the steps of the Texas Capitol and the lawn as this year’s Texas Muslim Capitol Day kicked off with a rally and press conference. Non-Muslims were there in force, verbally supporting and even physically protecting Muslims. In the wake of Trump’s so-called travel ban, supporters with welcoming signs overwhelmed the event. Supporters linked arms and surrounded the area around the podium, which was the site of an ugly confrontation at the last Capitol Day in 2015. Hundreds of participants met with their lawmakers, many for the first time, after receiving training in the legislative process. It was an unqualified success and we look forward to continuing our work with elected officials and with non-Muslim community supporters. CAIR’s national office has produced a short, insightful video called “Sure It’s Not a Muslim Ban.” Enjoy and share! 2:157 Those are the ones upon whom are blessings from their Lord and mercy. And it is those who are the [rightly] guided. Fight the hate. Embrace the compassion. We can’t do it without you. Please support CAIR with your tax-deductible charitable donation.